PHILADELPHIA--February 27 2009 --Environmental Defense Fund today released a groundbreaking online map that identifies and profiles more than 1,200 companies in key manufacturing states poised to grow their business and create new jobs when Congress passes a cap on global warming pollution. The interactive map, online at LessCarbonMoreJobs.org, was released at the first meeting of Vice President Joe Biden's task force on middle class jobs in Philadelphia. It highlights hundreds of companies and communities in coal country, the rust belt and other manufacturing regions poised to benefit from demand for clean energy technologies created by a cap on carbon. Vice President Biden hosted EDF President Fred Krupp and a range of experts to highlight new ways to increase renewable energy jobs and improve America's energy efficiency. Krupp said EDF's map shows that a carbon cap will create new markets and new customers for companies in the supply chain for low-carbon energy technologies and services. LessCarbonMoreJobs.org identifies the locations, products, and services as well as select case studies and worker profiles for companies in 12 states: Michigan, Ohio, Pennsylvania, Indiana, New Hampshire, Arkansas, Tennessee, Colorado, Georgia, Missouri, Virginia and Florida. LessCarbonMoreJobs.org allows visitors to search by state, Congressional district and media market to find companies manufacturing windmill components, shipping solar panel equipment and installing energy efficient building materials. The site also provides business details and contact information for companies in each profiled state. Among the business leaders highlighted is Jeff Metts, owner and president of Dowding Industries, a Michigan-based manufacturer of large-scale machinery and parts that is hiring laid-off auto workers to build wind turbine components. Bill Keith, president of the St. John, Indiana-based Sunrise Solar, Inc., echoed Breehey's comments. Research Renewable Energy and Cleantech stocks as an Investor Ideas member and gain access to the renewable energy and water stock directories. "Speaker Pelosi and Leader Reid’s dramatic action shows that Congress can act quickly on global warming when the public demands it," said Greenpeace USA Deputy Campaigns Director Carroll Muffett. "Their action demonstrates that they recognize the urgency of the climate crisis and the need for a switch to cleaner energy sources." "The more than 2,500 people coming to Washington to call for a solution to the climate crisis and an end to the use of coal are still coming because the climate is still in crisis and coal is still driving that crisis," said Michael Brune, Executive Director of the Rainforest Action Network. "Today’s move reflects Congress’s growing awareness that the public is demanding change." "Speaker Pelosi and Leader Reid today showed the power of grassroots action," said Mike Tidwell, executive director of the Chesapeake Climate Action Network. "That grassroots action is going to continue until Congress passes legislation that solves the climate crisis." For more information on the Capitol Climate Action, global warming, and coal, visit www.capitolclimateaction.org. Pelosi and Reid’s letter is available at http://speaker.house.gov/newsroom/pressreleases?id=1028. BOSTON, MA. – February 26, 2009 - Global climate change is exacerbating water scarcity problems around the world, yet few businesses and investors are paying attention to this growing financial threat, according to a report issued today by Ceres and the Pacific Institute. Water is crucial for the global economy – driving every industry from agriculture to electric power to silicon chip manufacturing. Beverage, apparel and tourism also rely on supplies of clean, potable water to survive and grow. Decreasing water availability, declining water quality, and growing water demand are creating immense challenges to businesses and investors who have historically taken clean, reliable and inexpensive water for granted. These trends are causing decreases in companies' water allotments for manufacturing, shifts towards full-cost water pricing, more stringent water quality regulations and increased public scrutiny of corporate water practices. The report concludes that climate change will exacerbate these growing water risks – especially as the world population grows by 50 million people every year. Already, China, India and the western U.S. are seeing growth limited by reduced water supplies from shrinking glaciers and melting snowcaps that sustain key rivers. Meanwhile, agricultural and power plant production have been cut back due to more frequent and more intense heat waves and droughts in large parts of Australia, California and the southeast U.S.
"The business community needs to wake up to the reality that water is becoming scarcer and will likely become even more so in many parts of the world due to climate change," said Mindy S. Lubber, president of Ceres, which published the report, Water Scarcity & Climate Change: Growing Risks for Businesses and Investors. "It is critical that companies and investors boost their attention on this issue." "This research sheds important light on the critical link between climate change and water issues. For businesses, addressing the risk factors of water scarcity and conflict is as urgent as addressing energy security and greenhouse gas emissions," said Jason Morrison, program director at the Pacific Institute and the report’s lead author. "With impacts of climate change on water resources already affecting businesses, this report provides a first-of-its-kind list of key questions companies and investors should be asking – and responding to – in an integrated way." * Electric Power: Drought-induced water shortages have already caused power plant shutdowns in Europe, Brazil and the southeast U.S. that led to price spikes and reduced economic growth. The power industry depends heavily on water and accounts for a staggering 39 percent of freshwater withdrawals in the U.S.
* High-Tech: Eleven of the world's 14 largest semiconductor factories are in the Asia-Pacific region, where water scarcity risks are especially severe. IT firms require vast amounts of ultra clean water – Intel and Texas Instruments alone used 11 billion gallons to make silicon chips in 2007. A water-related shutdown at a fabrication facility operated by these firms could result in $100-$200 million in missed revenue during a quarter, or $0.02 or $0.04 per share. * Beverage: Coca-Cola and PepsiCo bottlers lost their operating licenses in parts of India due to water shortages and all major beverage firms are facing stiff public opposition to new bottling plants – and to buying bottled drinking water altogether. Nestlé Waters has been fighting for five years, for example, to build the country's largest bottling plant in McCloud, CA. * Agriculture: Reduced water availability is already impacting food commodity prices, as shown by last year's sharp increase in global rice prices triggered by a drought-induced collapse of rice production in Australia. Roughly 70 percent of the water used globally is for agriculture, with as much as 90 percent in developing countries where populations are growing fastest. The report also identified specific water-related risks for apparel, biotechnology/pharmaceutical, forest products and metals/mining firms. "This report makes clear that companies and investors can no longer take water for granted," said Anne Stausboll, chief executive officer of the California Public Employees' Retirement System, the nation's largest public pension fund with approximately $170 billion in assets. "As a global investor, we must be mindful of water-related risks in many parts of the world and how climate change will likely exacerbate many of those risks. Disclosure by companies is an important first step in improving transparency around the risks and opportunities associated with water and climate change." The report also highlights the intensifying conflict between energy use and water availability. With increasing frequency, choosing one of these resources means undermining the other – the other usually being water. For example, the billions of dollars spent to expand corn-based ethanol production in the U.S. and oil sands development in Canada has helped ensure increased fuel supplies, but at the expense of significant water impacts and greenhouse gas emissions that could ultimately limit these ventures in the future. Despite these looming challenges, the report concludes that businesses and investors are largely unaware of water-related risks or how climate change will likely exacerbate them. Weak corporate disclosure on potential risk exposure and response strategies is especially glaring. * Measure the company’s water footprint (i.e., water use and wastewater discharge) throughout its entire value chain, including suppliers and product use. * Assess physical, regulatory and reputational risks associated with its water footprint, and seek to align the evaluation with the company’s energy and climate risk assessments. * Engage key stakeholders (e.g., local communities, non-governmental organizations, government bodies, suppliers, and employees) as a part of water risk assessment, long-term planning and implementation activities. * Integrate water issues into strategic business planning and governance structures. * Disclose and communicate water performance and associated risks. * Independently assess companies’ water risk exposure. * Demand more meaningful corporate water disclosure. * Encourage companies to incorporate water issues into their climate change strategies. * Emphasize the business opportunity side of the water challenge. The Pacific Institute is a nonprofit research organization in Oakland, California dedicated to protecting our natural world, encouraging sustainable development, and improving global security. Founded in 1987, the Institute provides independent research and policy analysis on issues at the intersection of development, environment, and security and aims to find real-world solutions to problems like water shortages, habitat destruction, global warming, and environmental injustice. www.pacinst.org. Contact: Peyton Fleming, Ceres, 617-247-0700 x120 or 617-733-6660 (cell); and Nancy Ross, Pacific Institute, 510-251-1600 x106. Research Renewable Energy and Cleantech stocks as an Investor Ideas member and gain access to the water and renewable energy stock directories. CHARLOTTE, N.C-Cogentrix Energy, LLC (“Cogentrix”), through its wholly owned subsidiary Cogentrix Solar Services, has closed its acquisition of Sunray Energy, Inc., the owner and operator of facilities formerly known as Solar Energy Generation Systems I and II (“SEGS I” and “SEGS II”), completing a transaction that was entered into on September 30, 2008. SEGS I and II represent the first two utility-scale solar trough plants built in the world and deliver up to approximately 43 megawatts of electric capacity under contract to Southern California Edison (“SCE”). The plants were completed and placed in service in 1984 and 1985 and are located in San Bernardino County, California. “This acquisition affirms our commitment to renewable energy. Cogentrix has an established track record of investing in, developing, constructing and operating power generation projects throughout the United States. We are now moving forward to deliver these core competencies to the renewable energy sector,” said Larry Kellerman, President of Cogentrix. Cogentrix plans to make a significant investment in retrofitting and upgrading the delivery capability and reliability of SEGS I and II to enable the plants to continue to supply power into the California renewable market. In solar trough plants, energy from the sun is collected on specially designed mirrors and directed onto glass enclosed collectors where the heat generated is captured and used to produce steam for powering turbine-generators in the production of electricity. Details of the SEGS I & II acquisition were not disclosed. “This acquisition positions Cogentrix firmly in the solar business and we are excited about the future,” said Bill Felts, Senior Vice President at Cogentrix. “Renewable energy is a major component of our nation’s energy strategy to help ensure greater energy independence. It is our goal to help ensure that electricity can be provided from renewable sources in an economic and reliable fashion.” With over 25 years of experience in the electric power generation industry, Mr. Felts leads the overall development effort at Cogentrix. Cogentrix continues to expand its development capabilities. Recent additions to the Cogentrix development staff are Mr. Edouard (Ed) MacGuffie as Vice President of Solar Development; Charles (Chuck) Muoio, Vice President of Development; William (Bill) Heck, Vice President of Southwest Development; Gary Palo, Vice President of California Development; and Eduardo Hernandez-Carstens, Vice President of Wind and DSM Development. Prior to joining Cogentrix, Ed MacGuffie was Executive Director, Solar for FPL Energy. Mr. MacGuffie’s experience in the solar market includes managing the acquisition of the Kramer SEGS III-VII plants in California; initiating a $100 million solar field recapitalization effort at both Kramer SEGS III-VII and Harper SEGS VIII-IX solar generating facilities; and identifying and negotiating a joint-venture for solar development in Spain. Chuck Muoio joins Cogentrix from Goldman Sachs where he served as Vice President, Alternative Energy Group. Mr. Muoio has over 30 years of experience in the energy business including responsibility for development, construction and asset management for energy projects. Mr. Muoio was previously with FPL Energy as Vice President of Development with responsibility for mergers and acquisitions, wind quality improvement programs and solar thermal assets. Gary Palo comes to Cogentrix from FPL Energy where he was Director of Development, managing the development of the Beacon Solar Energy Project, a 250 MW concentrating solar power facility proposed in the western Mojave Desert region of California. Mr. Palo also has extensive experience in the development of natural gas fired electric power projects, including associated interconnecting transmission lines in California. He has been active in the independent power industry for the past 24 years. Bill Heck joins Cogentrix from Nevada Power Company and its sister company Sierra Pacific Power Company where he served as Development Director-Renewables. Mr. Heck was instrumental in the development of both the 12MW Nellis Solar Star photovoltaic generating facility and the 64MW Nevada Solar One concentrating solar thermal generating facility. He was also responsible for compliance with both the Nevada and California renewable portfolio standards and the procurement of approximately 400MW of geothermal generation. Eduardo Hernandez-Carstens has over 25 years experience with Petroleos de Venezuela (“PDVSA”), a large integrated energy company where he participated in acquisitions of international downstream assets. Mr. Hernandez-Carstens was responsible for the introduction and negotiation of long term supply contracts of a patented boiler fuel to North American utilities, and structured complex multi-party capital investments in the power industry, marketing projects in Europe, Latin America, Canada and the United States. Founded in 1983 and headquartered in Charlotte, N.C., Cogentrix is a recognized leader in the independent power industry for its proven capabilities in meeting regulatory and commercial commitments. The Company has offices in Virginia, California, Florida and Nevada in addition to the corporate offices in Charlotte, North Carolina. Cogentrix is a subsidiary of The Goldman Sachs Group, Inc.
TEMPE, Ariz.--Feb 24 2009 -First Solar, Inc. (Nasdaq: FSLR ) today announced it reduced its manufacturing cost for solar modules in the fourth quarter to 98 cents per watt, breaking the $1 per watt price barrier. First Solar began full commercial operation of its initial manufacturing line in late 2004. From 2004 through today, manufacturing capacity has grown 2,500 percent to more than 500 megawatts in 2008. First Solar’s annual production capacity will double in 2009 to more than 1 gigawatt, the equivalent of an average-sized nuclear power plant. These escalating volumes have been accompanied by a rapid reduction in manufacturing costs. From 2004 through today, First Solar’s manufacturing costs have declined two-thirds from over $3 per watt to less than $1 per watt. First Solar is confident that further significant cost reductions are possible based on the yet untapped potential of its technology and manufacturing process. First Solar is not only committed to making solar power affordable but also to making it environmentally sustainable. The Company takes responsibility for its products throughout their life cycle, ensuring that First Solar modules have the smallest carbon footprint of any current photovoltaic (PV) technology. First Solar is proud to have the industry’s first and only comprehensive pre-funded, end-of-life module collection and recycling program, recycling more than 90 percent of each collected module into new products. “This represents a major milestone for the solar industry,” said Ken Zweibel, an industry veteran currently serving as Director of the Institute for the Analysis of Solar Energy at The George Washington University and former Program Leader for the Thin Film Partnership Program at the National Renewable Energy Laboratory in Golden, Colo. “In order to address climate change in a meaningful way, we need energy technologies that are affordable, scalable and have a low environmental impact on a life-cycle basis. With this announcement, First Solar continues to demonstrate the ability of thin film PV technology to provide an alternative to traditional fossil fuels and for solar power to provide a meaningful contribution in addressing climate change." POINT ROBERTS, WA and DELTA, BC –February 24, 2009 - www.RenewableEnergyStocks.com, a leading global investor and industry portal for the renewable energy sector within Investorideas.com, provides investors with tools and resources to participate and invest in the green technology revolution. Investor Ideas has created a global directory of publicly traded green and renewable energy stocks in wind, solar, biofuel and other green sectors. Investor Ideas stock directories are one of several tools for independent investors to complete due diligence and research. Renewableenergysstocks.com was one of the first online investor resources providing in-depth information on renewable energy and the public companies in the sector. The RenewableEnergyStocks.com portal currently features a directory with info and links on Alternative Energy Funds, Biogas and Ethanol Stocks, Energy Efficiency Stocks, Flywheel Stocks, Fuel Cell Stocks, Geothermal Stocks, Hydrogen Production, Micro Turbine Stocks, Solar Stocks, Green Transportation, Wind Stocks and Green Infrastructure Stocks. InvestorIdeas.com has created a Green Investor Series of Podcasts & articles on green and renewable energy investing for Investing in a Better World! Follow well- known financial columnist Michael Brush, who also writes the Insiders Corner for Investorideas.com, in a series of audio interviews/Podcasts with some of the leading CEO's, investment banking and financial leaders in the sector. The Green Investor Podcasts can also be heard on Money Matters with Barry Armstrong, #1 Personal Finance Radio Show in Boston! www.WBNW1120.com. Also Read energy writer Paulo Nery's new Green Investor column and gain insight into the sector. - building a stronger, greener economy with new investment, creating well-paying green jobs and more economic growth for Ontario - a projected 50,000 jobs in the first three years - better protecting our environment, combating climate change and creating a healthier future for generations to come. - making it easier to bring renewable energy projects to life, and - fostering a culture of conservation by assisting homeowners, government, schools and industrial employers to transition to lower energy use. The proposed GEA, and the expected regulatory changes and policies thatwould flow from it, include a range of measures. President Bill Clinton Vice President Al Gore Senate Majority Leader Harry Reid (D-NV), Honorary Chair Speaker of the House Nancy Pelosi (D-CA) Senator Tim Wirth, U.N. Foundation President, Moderator U.S. Secretary of Interior Ken Salazar U.S. Secretary of Energy Steven Chu Assistant to the President for Energy and Climate Change Carol Browner T. Boone Pickens, Chairman and Founder, BP Capital Management John Podesta, President and CEO Center for American Progress Action Fund Senate Energy and Natural Resources Committee Chair Jeff Bingaman (D-NM) Senate Appropriations Subcommittee on Energy and Water Chair Byron Dorgan (D-ND) House Select Committee on Energy Independence & Global Warming Chair Ed Markey (D-MA) Acting Federal Energy Regulatory Commission Chairman Jon Wellinghoff Former Governor George Pataki (R-NY) Lee Scott, Executive Committee Chairman, Board of Directors, Wal-Mart Stores, Inc. Mike Morris, Chairman, President and CEO, American Electric Power Michael Thaman, Chairman and CEO, Owens Corning Denise Bode, CEO, American Wind Energy Association Fred Butler, President, National Association of Regulatory Utility Commissioners Rick Fedrizzi, President and CEO, U.S. Green Building Council Van Jones, Founder and President, Green For All Robert Kennedy, Jr., Chairman, Waterkeeper Alliance and Senior Attorney, NRDC Carl Pope, CEO, Sierra Club Nat Simons, Sea Change Foundation Andy Stern, President, Service Employees International Union John J. Sweeney, President, AFL-CIO Rose McKinney James, Energy Foundation Board The 28 participants were together at the "National Clean Energy Project: Building the New Economy" Forum in Washington, DC today. It included remarks to the panelists from President Bill Clinton, former U.S. Senator and United Nations Foundation President Timothy Wirth, Honorary Chairman of the event, Senator Reid, Vice President Al Gore, as well as by business leader and clean energy advocate T. Boone Pickens and Center for American Progress Action Fund President John Podesta. These speakers touched on key themes of the forum, including overcoming clean energy infrastructure challenges, and reducing America’s dependence on foreign oil. The roundtable discussion among the invited participants, moderated by Mr. Wirth, focused on guiding the transformation of our nation’s energy policies as essential to economic recovery and job creation. modernizing the electricity grid to increase capacity for wind and solar power; integrating energy efficiency, distributed renewable generation, and “smart grid” technology into operation and regulation of our electricity system; and, reducing our nation’s dependence on foreign oil through natural gas, advanced bio fuels, plug-in hybrid cars and advanced batteries. Today’s event was convened by the Center for American Progress Action Fund. Senate Majority Leader Harry Reid was Honorary Chair. The forum grew out of the National Clean Energy Summit convened in 2008 by Sen. Reid, the Center for American Progress Action Fund, and the University Nevada Las Vegas. Today’s forum focused on modernizing and expanding the electricity grid, integrating energy efficiency and distributed generation into operation and regulation, rapidly increasing transmission capacity for renewable energy and reducing our nation’s dependence on foreign oil by using clean domestic alternative transportation fuels. The Cavitation-Ignition Bubble Combustion (CIBC) engine is a new discovery in green energy technology that could replace fossil fuel altogether. For the past twenty-five years, a small research company, Micro-Combustion, Inc. has dedicated themselves to the development of a new engine prototype based on the physics of cavitation-ignition bubble combustion. The basic idea behind this new engine is simple but revolutionary: it utilizes a small air bubble in a fluid (the fuel) as the combustion chamber to compress, ignite, and capture the energy derived from the heat release of the combustion of the fuel-air contents of the bubble. The fuel also happens to be the working fluid, which drives the turbine blades to extract power. The CIBC engine can run on just about any liquid hydrocarbon fuel, including plant, mineral, or recycled oils. Although the CIBC engine can operate on petroleum based fuels, it does not require it. Its ability to operate on alternative liquid fuels holds the potential, if fully realized, to transform the transportation sector by reducing or eliminating our nation’s reliance on domestic or imported petroleum-based fuels. The physics and chemistry of the CIBC engine has been tested by NASA scientists who, in a report dated August 2005, found that the CIBC concept is indeed real and potentially capable of producing power. If used to power an automobile, the engine would be about the size of a basketball, have fewer than a dozen moving parts, and would achieve remarkable fuel efficiency upwards of the equivalent of 100 miles per gallon. Because the ignition is encapsulated inside tiny bubbles, which then serve to absorb and trap gaseous emissions that are soluble in the liquid fuel (such as carbon dioxide) there are near-zero emissions. At the present stage of development, it is reasonable to assume that a new thermodynamic process (or engine cycle) similar to the Diesel engine, but with greater thermodynamic efficiency (due to the high peak bubble temperature) has been demonstrated. As Diesel engines already have a higher thermodynamic efficiency than gasoline internal combustion engines (Otto cycle), the potential is that the CIBC engine would now be the highest thermodynamic efficiency automotive engine to date. Spire Introduces Mark Case, Vice President of Photovoltaic Factory Management, to Lead this Initiative. BEDFORD, Mass.---Spire Corporation (Nasdaq: SPIR), a global solar company providing turnkey solar factories to manufacture photovoltaic (PV) modules worldwide, today announced that it has initiated its “Come to America” program to assist foreign manufacturers of PV modules to establish manufacturing operations in the United States (U.S.). The U.S. is projected to be the most rapid growing PV market in the world, doubling each year over the next few years with projections of over five gigawatts (GW) through 2011 (Barclays Capital Solar Energy February 2009). To take full advantage of the newly signed economic stimulus bill, foreign manufacturers would need to produce their modules in the U.S.
Spire has been a major supplier of turnkey factories worldwide and has participated in all aspects of the U.S. market, including establishment of manufacturing lines, producing systems, and has conducted U.S. Department of Energy funded research and development programs and has advised the U.S. Congress on solar policy directions for more than 30 years. This experience coupled with ongoing involvement in all sectors of PV in the U.S. makes Spire ideally suited for “bringing companies to America”. Assembling modules from solar cells in distributed module assembly lines is a cost effective approach to market entry. Shipping costs are reduced and solar cells usually represent the intellectual property part of the module. Manufacturing modules near the market also stimulates local market growth, results in local tax incentives and incentives for job creation. Spire offers turnkey lines for both module and cell production. Spire also provides factory siting, factory management, module certification, cell and other material supply and guidance through the General Services Administration and other U.S. requirements. Leading this initiative is Mark R. Case who has recently been added to Spire’s senior staff as Vice President of Photovoltaic Factory Management. Mr. Case joined Spire from Flextronics where he was Vice President of the Energy Division within Flextronics’ FLEXIndustrial business segment. His work concentrated on the PV industries. Mr. Case’s responsibilities at Spire will focus on the “Come to America” program for international suppliers. He will provide factory management services and coordinate after factory support including cell and wafer supply, equipment service and equipment upgrades. Additional responsibilities include deal structures and management contracts. Spire Corporation is a global solar company providing turnkey production lines and capital equipment to manufacture photovoltaic cells and modules worldwide. Spire Semiconductor develops and manufactures custom gallium arsenide solar cells and other related products. For corporate or product information, contact Spire Corporation, “The Turnkey Solar Factory Company,” at 781-275-6000, or visit www.spirecorp.com. Certain matters described in this news release may be forward-looking statements subject to risks and uncertainties that could cause actual results to differ materially from those indicated in the forward-looking statements. Such risks and uncertainties include, but are not limited to, the risk of dependence on market growth, competition and dependence on government agencies and other third parties for funding contract research and services, as well as other factors described in the Company's Form 10-K and other periodic reports filed with the Securities and Exchange Commission. SEATTLE, WA, Feb. 19 - Mantra Venture Group Ltd. (OTCBB: MVTG, FSE: 5MV) is scheduled to continue positioning itself at the forefront of pioneering sustainability initiatives through its attendance at the 10th Annual Vancouver Conference 2009 held by the Global Chinese Financial Forum (GCFF). The forum, to be held on February 22nd in Vancouver, Canada, will host over 25 leading sustainability industry participants and over 900 Chinese-speaking attendees who represent the fastest growing investing community in North America. Also in attendance will be financial service providers, public and private companies, and various financial professionals, making the Vancouver Conference 2009 a great networking opportunity. Joey Jung, Research Engineer with Kemetco Research Inc., will be representing Mantra and its electro-reduction of carbon (ERC) Technology as a keynote speaker for the event. In addition, Larry Kristof, President and CEO of Mantra, will be on-site to meet with potential investors and to further explain the merits of Mantra's ERC technology. Mr. Kristof notes: "Mantra has experienced accelerated development and an unprecedented amount of interest in our ERC technology during the last quarter.. This has been a very exciting time for our team, and we look forward to sharing this opportunity with the investing community at the upcoming GCFF conference. Given the many challenges faced by global financial markets today, reputable investor forums such as GCFF are vital in building investor confidence and in providing strategic insight on how to thrive during such turbulent economic times." "Mantra has a proven chemical process which is a part of the solution to one of the large environmental problems plaguing our planet: carbon dioxide," commented John Russell, head of Mantra's Scientific Advisory Board. "We understand that in order for sustainability to be attractive to companies, it needs to be commercially useful. ERC is. It really could be a breakthrough in the way our planet handles its carbon dioxide pollution." GCFF is the largest series of bilingual (Chinese/ English) financial functions in North America. GCFF fosters the development of North American and Asian financial industry by creating opportunities for companies, financial institutions, and investors all under one roof to physically meet and to truly benefit from each other. Since 2000, GCFF has grown from a one-day seminar to a series with two-day conferences, seminars, and road shows. GCFF will be hosting the 10th annual Vancouver Conference 2009 on Sunday, February 22, 2009 at the Hilton (Metrotown) Hotel from 9:30 am - 4:30 pm. To learn more about the Forum, or to pre-register for the event, visit the GCFF website: http://gcff.chineseworldnet.com/front.asp. The ERC process, defined as the Electrochemical Reduction of Carbon Dioxide, combines captured carbon dioxide with water to produce high value materials, such as formic acid and formate salts, which are conventionally obtained from the thermochemical processing of Fossil Fuels. However, ERC has an advantage over the established thermochemical methods for converting carbon dioxide to liquid fuels. While thermochemical reactions must be driven at relatively high temperatures that are normally obtained by burning fossil fuels, ERC operates at near ambient conditions and is driven by electric energy that can be taken from an electric power grid supplied by hydro, wind, solar or nuclear energy. Mantra's recent developments have resulted in many governments and leading industrial companies taking an interest in ERC. Mantra is currently in discussions regarding various grants and other support initiatives offered by international governments, as well as possible pilot projects with large industrial companies. Mantra is a public company quoted on the OTC BB under the symbol MVTG and on the Frankfurt Stock Exchange under the symbol 5MV. Except for the historical information contained herein, the matters discussed in this press release are forward-looking statements. Actual results may differ materially from those described in forward-looking statements and are subject to risks and uncertainties. See Mantra Venture Group's filings with the Securities and Exchange Commission which identify specific factors that may cause actual results or events to differ materially from those described in the forward-looking statements. Mantra Venture Group Ltd. is a featured Company on Investorideas.com Green portals, China portal. Source: Mantra Venture Group Ltd.
Schindellegi, 17. February 2009 - Sunseeker Energy Holding AG last week completed the initial listing and quotation of 667,193,558 shares on the Frankfurt Open Market. The company is a solar energy company committed to developing new generation solar and hybrid power technologies for sustainable energy use throughout the world. The public listing is a milestone in growth and the international commercialisation of its solar technology solutions. POINT ROBERTS, WA –Feb 17, 2009, Investorideas.com, one of the first financial and investing sites to cover renewable energy investing reports on its top green financial news feeds. Investors can subscribe to each feed and green and financial sites can add the news RSS feed to their sites as additional investor content. InvestorIdeas.com currently attracts a growing global investor audience averaging 15,000 unique visitors per day (and growing), made up of investors, brokers, analysts, media, industry peers, institutions and government seeking news and research on over 30 sectors. Additionally, InvestorIdeas.com and its related sector portals are visible on over 25,000 blogs globally. Public and Private companies can submit news to Investor Ideas and its green investor news feeds. News will be carried on the Investor Ideas Newswire, the Renewable Energy and GreenTech Business and Stock News Feed and up to three green news portals within the Investor Ideas hub. With markets and investor sentiment changing daily- it is more important than ever to stay on top of key trends! Gain Exclusive Insight on Leading Sectors, Global Trends, and Insider Trading Ideas, News, Articles and Investor Ideas Members only Restricted Content including the water stocks directory and renewable energy stocks directory. “The stimulus has made some important progress through investments in renewable energy, the funding to rebuild our nation’s transmission grid and on conservation. These are certainly an important part of the Pickens Plan. It will create jobs and will move the country in the right direction on our energy policy. But as I have said previously, this is only a start. More than 1,400,000 people have joined the Pickens Army through the website www.pickensplan.com , which has had over 14,000,000 hits. For more information on the Pickens Plan please visit our website. FORT WAYNE, IN--Feb 16, 2009 -- As President Barack Obama prepares to sign the federal Economic Stimulus Package, WaterFurnace Renewable Energy, Inc. (Toronto:WFI.TO) is poised to contribute to the nation's economic recovery with a plan that will create jobs and save energy. The stimulus package is intended to create and save 3.6 million jobs and jumpstart the economy with economic recovery tax cuts and targeted investments. In addition to putting money back in the pockets of consumers and businesses, the package also includes provisions that will help achieve long-term goals, such as improving energy efficiency in both the public and private sectors. Among those provisions, the plan calls for a disbursement of $6.9 billion to state and local governments for energy efficiency upgrades and the reduction of carbon emissions. "This could amount to as much as $100 million in the state of Indiana," said Bruce Ritchey, CEO of Indiana-based WaterFurnace, a leading manufacturer of residential, commercial, industrial and institutional geothermal and water source heat pumps. "By investing a portion of this $100 million in rebates or low interest loans to homeowners who replace their old fossil fuel or straight electric furnaces with geothermal heat pumps, the country would definitely make progress toward the goals of the stimulus package," Ritchey said. "Indiana and other states in the country that have invested in similar programs were able to create hundreds of 'green collar jobs' while significantly increasing energy efficiency and reducing carbon emissions." According to Ritchey, a $2,000 rebate on the purchase of a geothermal heat pump -- or the availability of low interest loans -- could generate 200 heat pump sales every month in Indiana, or 2,400 unit sales at the end of the first year. "At the same time, we can create one new job for every 18 heat pump installations. By the end of the first year that means we will have created, potentially, 133 new green collar jobs (2,400 units divided by 18 installations per job). At $2,000 per unit, the total cost of a job creation/energy efficiency rebate program in the state of Indiana would be $4.8 million over the course of a year." Every geothermal heat pump requires 24 hours of manufacturing labor and 32 hours of installation labor, according to Ritchey. Small businesses involved in the installation include heating and air conditioning contractors, electricians, plumbers, excavators and drilling machine operators. Ritchey says these businesses have the capacity and technical skills to begin installing green geothermal technology in more homes immediately. In addition to creating jobs, the rebate program and the ensuing installation of geothermal heat pumps would cut an average four metric tons of carbon emissions per year per unit, due to the high energy efficiency of geothermal heat pump technology. "If you multiply those reductions by the average unit life of 24.4 years, that means 97.6 metric tons of emissions could be eliminated over the lifetime of each unit, and 234,240 tons over the lifetime of the 2,400 units sold through the rebate program," said Ritchey. Looking beyond Indiana to a national rebate program, Ritchey added, "Every state should take at least five percent of the funding available through the energy efficiency portion of the stimulus package and invest it in a geothermal incentive. I can't think of a faster, more cost effective, greener way to put people back to work, save fossil fuel, reduce carbon emissions and save homeowners thousands of dollars per year for the next 24 years. It's the stimulus that keeps on stimulating." The backdrop for Ritchey's position on use of the stimulus package funding is a U.S. heating and air conditioning industry that has been hit hard by the recession. "The collapse of the residential new construction market and the lack of consumer financing have slammed the industry over the past two years," he said. "Heating system sales were down to levels not seen since 1970." Ritchey noted that all geothermal heat pumps are built by WaterFurnace and a few other manufacturers in the United States at domestic plants in Indiana, Ohio, Oklahoma, Minnesota, South Dakota, Wisconsin, Texas, Florida and New York. Geothermal systems are operating and saving energy in all 50 states and are being exported around the globe. WaterFurnace Renewable Energy, Inc. is a leading manufacturer of residential, commercial, industrial and institutional geothermal and water source heat pumps. Products from WaterFurnace include energy-efficient and environmentally friendly geothermal comfort systems, indoor air quality products and pool heaters. WaterFurnace (Toronto:WFI.TO - News) was founded in 1983. The company is headquartered in Fort Wayne, Ind. One of the most disconcerting things facing investors in 2008 was the “crazy” market and the violent swings BOTH ways that seemed to go on throughout the year. With that in mind I decided to do some research on where 2008 stood in annals of stock market history. As most everyone knows 2008 was certainly one of the worst years in history for the stock market in general. In fact, the Dow Jones was down 31.1% for the year, which ranks as the 6th worst year in history. I always find it informative and interesting look at history to give me a broader perspective when such a significant event occurs. reports the Changing World Technologies IPO of 2, 750,000 shares has been postponed due to market conditions. The stock had been assigned trading symbol ( CWL )on the NYSE Alternext. Changing World Technologies, Inc. sells renewable diesel fuel oil and organic fertilizers which it produces from animal and food processing waste using its proprietary Thermal Conversion Process (“TCP”). TCP can convert a broad range of organic wastes (“feedstock”), including animal and food processing waste, trap and low-value greases, mixed plastics, rubber and foam, into CWT’s products. TCP emulates the earth’s natural geological and geothermal processes that transform organic material into fuels through the application of water, heat and pressure in various stages. Investor Ideas was one of the first online investor resources providing in-depth information on renewable energy, greentech and water sectors. InvestorIdeas.com is a leading global investor and industry research resource portal specialized in sector investing covering over thirty industry sectors and global markets including China, India, Middle East and Australia. Clearview Acquisitions Closes Merger with Helix Wind, Inc.
NEW YORK-Clearview Acquisitions, Inc. (OTCBB:CVAC) announced today that it has completed its previously-disclosed acquisition of Helix Wind Inc. As previously reported in the January 29, 2009 press release, Helix Wind is engaged in the manufacture and sale of small wind turbines designed to generate 2.5 to 5 KW of clean, renewable electricity. Clearview acquired 100% of Helix Wind in consideration of approximately 20.5 million shares of common stock. As a condition to the closing, Clearview had issued $650,000 of 9% Convertible Notes and warrants. The convertible notes issued by Helix Wind in the aggregate principal amount of $1.9 million were exchanged for the 9% Convertible Notes issued by Helix Wind. Clearview will change its public name to Helix Wind, Incorporated as soon as possible. The company is currently quoted in the United States over the counter under the symbol CVAC and on the Frankfurt Stock exchange under the symbol VUU1 (WKN A0RCNZ). Helix Wind’s products help provide energy independence. As a resource that never runs out, wind is an abundant, renewable, emissions-free energy source that can be utilized on both large and small scales. At the soul of Helix Wind lies the belief that energy self-sufficiency is a responsible and proactive goal that addresses the ever-increasing consequences of legacy energy supply systems. About Clearview: Clearview Acquisitions was established to acquire and develop quality projects in the United States and abroad. The focus of the company is to seek out and selectively acquire companies for public markets. About Helix Wind: Helix Wind Inc. is a global renewable energy company with a focus on small wind turbines designed for residential, suburban and urban use. Additional information can be found at http://www.helixwind.com. Safe Harbor Statement: A number of statements contained in this press release are forward-looking statements made pursuant to the safe harbor provisions of the Private Securities Litigation Act of 1995. These forward-looking statements involve a number of risks and uncertainties, including our ability to attract and retain management and field personnel with experience in the small wind turbine industry, our ability to raise capital when needed and on acceptable terms and conditions, the intensity of competition and general economic factors. The actual results Clearview may achieve could differ materially from any forward-looking statements due to such risks and uncertainties. Clearview encourages the public to read the information provided here in conjunction with its most recent filings, which may be viewed at www.sec.gov. “The Senate has taken another important step forward with the energy provisions in the stimulus bill that include investments in renewable energy, encourage conservation and provide funding to rebuild our nation’s transmission grid, all of which are critical elements of the Pickens Plan and all of which create jobs. While the House and the Senate will begin efforts to reconcile their legislation and present a bill to President Obama, we need to make sure that we remember that this is only the start of the effort on energy. WASHINGTON--Feb 10 2009 --American Superconductor Corporation (NASDAQ: AMSC), a leading energy technologies company, today announced that it has entered into a Cooperative Research and Development Agreement (CRADA) with the U.S. Department of Energy’s National Renewable Energy Laboratory (NREL) and its National Wind Technology Center (NWTC) to validate the economics of a full 10 megawatt (MW) class superconductor wind turbine. AMSC is separately developing full 10 MW-class wind turbine component and system designs. 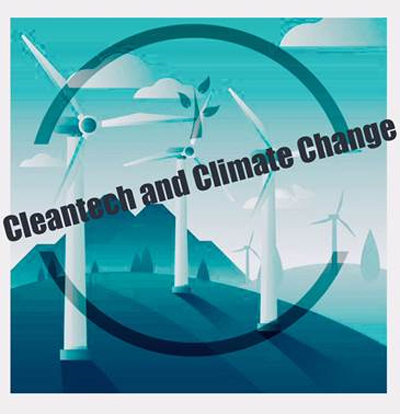 A CRADA allows the Federal government and industry partners to optimize their resources, share technical expertise in a protected environment and speed the commercialization of technologies. Under the 12-month program, AMSC Windtec™, a wholly owned subsidiary of AMSC, will analyze the cost of a full 10 MW-class superconductor wind turbine, which will include a direct drive superconductor generator and all other components, including the blades, hub, power electronics, nacelle, tower and controls. The NWTC will then benchmark and evaluate the wind turbine’s economic impact, both in terms of its initial cost and its overall cost of energy. Direct drive wind generator systems utilizing high temperature superconductor (HTS) wire instead of copper wire for the generator’s rotor are expected to be much smaller, lighter, more efficient and more reliable than conventional generators and gearboxes. AMSC estimates that its superconductor technology will enable a 10 MW-class generator system that would weigh approximately 120 metric tons, compared with approximately 300 metric tons for conventional direct drive generators with this power rating. In addition, direct drive generators eliminate the need for massive gearboxes, the component with the highest maintenance costs in conventional wind turbines. This will open up the opportunity for the development of wind farms in more areas on land and offshore. The superconductor generators that are to be utilized for 10 MW-class superconductor wind turbines are based on proven technology AMSC has developed for superconductor ship propulsion motors and generators under contracts with the U.S. Navy. AMSC recently announced that a 36.5 MW superconductor ship propulsion motor it designed and manufactured for the Navy was successfully operated at full power by the Navy and is ready for deployment. Concurrent with the CRADA, AMSC and TECO-Westinghouse Motor Company (TWMC) have been working on a project since October 2007 to develop HTS and related technologies for 10 megawatt-class direct drive wind generators under an award from the National Institute of Science and Technology’s Advanced Technology Program (ATP). The CRADA and ATP programs are intended to serve as a prelude to follow-on programs aimed at building and testing a full-scale prototype superconductor wind turbine, prior to commercialization. Wind turbine power ratings have been increasing steadily while the price per megawatt has declined, enabling wind power to achieve economic parity with conventional generation sources in prime wind locations. Due to the limitations of conventional technologies, however, the largest wind turbine ratings top out at approximately 6 MW due in part to practical limitations on the physical size and weight of the generators that must be transported over roads and supported on towers hundreds of feet in the air. According to industry research firm Emerging Energy Research, approximately $27 billion was spent on wind turbines in 2007. That figure is expected to double to over $55 billion annually by 2015. AMSC offers an array of proprietary technologies and solutions spanning the electric power infrastructure – from generation to delivery to end use. The company is a leader in alternative energy, providing proven, megawatt-scale wind turbine designs and electrical control systems. The company also offers a host of Smart Grid technologies for power grid operators that enhance the reliability, efficiency and capacity of the grid, and seamlessly integrate renewable energy sources into the power infrastructure. These include superconductor power cable systems, grid-level surge protectors and power electronics-based voltage stabilization systems. AMSC’s technologies are protected by a broad and deep intellectual property portfolio consisting of hundreds of patents and licenses worldwide. More information is available at www.amsc.com.